The Bay Area transplant, Eoin, (pronounced “Oh-un”) Harrington, played to a sold out crowd for his combination birthday party and CD release at the world famous Yoshi’s San Francisco jazz club on April 22. Harrington, a true indie artist, who releases music from his own record label, is an award-winning songwriter who continues to win the praise of music industry heads. He produced “Confess” with the help of Alex Newburg and Alan Hertz. Along with the local success, Harrington’s music has been well-received back in his home of Ireland, where “Confess” was released on the same day as in the states. “Confess” is composed of 11 tracks which expose the self-exploration of love, love lost, and the in-between that’s happened since “Story” was released in 2008. It’s not a new topic for pop music, but it works. Maybe there is some Irish gene that allows artists like Harrington, Glen Hansard, and Damien Rice to generate themes that the genre regularly manufactures, but deliver it with genuine passion. Or, maybe they’re just genuinely passionate? That would be a nice change to the unapologetic billboard success of empty musicians. The title track opens the album, whose intro tiptoes along the lines of Baroque pop, with an almost quirky harpsichord accompanying Harrington’s piano, joined by a violin gently sailing over his tenor vocals. Orchestral arrangements silhouette each track, showcasing Harrington’s talent as a composer. The album is cut into two sections, Harrington explains, “Let it out,” and “Hold it in.” The “Let it out” segment are the upbeat radio ready singles like “Now or Never,” “Whatever I Want to Say,” and “Confess.” Its counter part holds “New Years Day,” and “Before I Fall.” “Hold it in” seems a bit of a misnomer since they are pieces of music, not tracks of silence. “Speak Your Mind” both bisect the album into the two approaches Harrington exercised, and joins them for a midpoint timbre. While openly positive, “Speak Your Mind” takes the album in a slower, softer direction, bracing the listener for the new suite to follow. 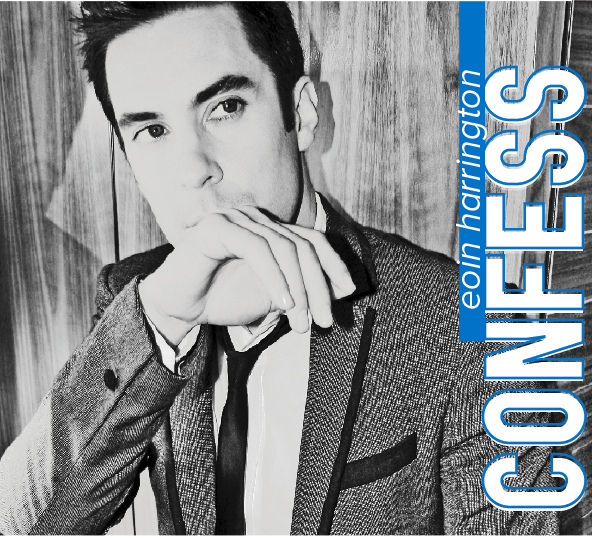 Harrington has the musicianship that has captivated audiences throughout the country and across the Atlantic and will continue to, as he promises that “Confess” will be followed up by another album contiguous with the confessions concept.